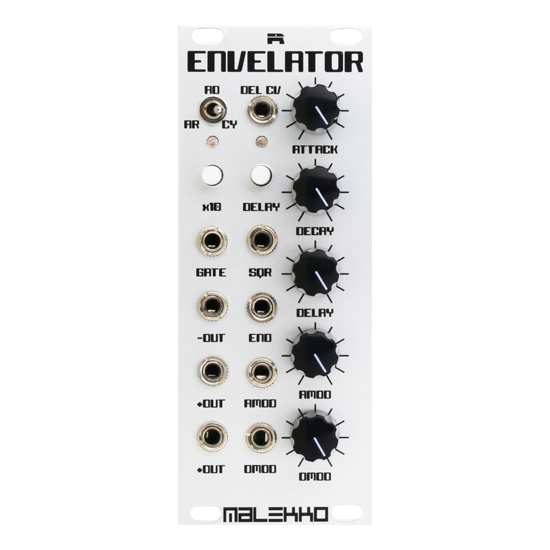 The Malekko/Richter Envelator is a eurorack version of the infamous 300 Series Envelator module. The attack and decay slopes are individually voltage controllable with input attenuators. Each unit outputs the envelope, inverse of the envelope (negative going envelope), a voltage step signal during the attack phase, and a pulse at the end of the decay phase.